Car accidents are scary enough, but when you have children in the car an accident becomes a positively horrifying experience. There is danger not only from the impact itself, but from flying objects in the car that might strike small kids. 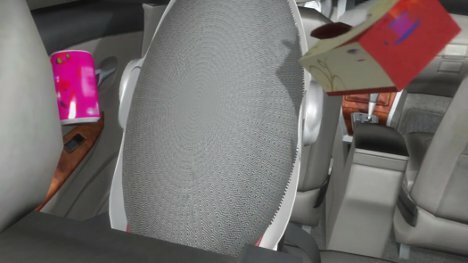 The Carkoon is a child safety seat that could help to partially calm parents’ fears in the event of an accident when baby is on board. In the event of an impact, a fireproof shield made of Kevlar instantly deploys to cover your little one in a protective cocoon. Your precious cargo is kept safe from flying tissue boxes, flaming arrows, and whatever other detritus might litter your vehicle and go flying around in an accident. The car seat even has an emergency transmitter that calls the appropriate authorities when there’s an accident. The company behind the current prototype, UK-based Cool Technologies, expects that the Carkoon will go on sale soon for around $800. See more in Unbuilt Concepts or under Technology. April, 2012.